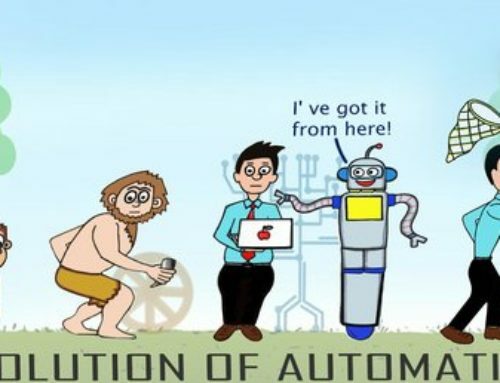 When automation started, it was all about Robotic Process Automation (RPA), where organisations demanded more workforce agility and scalability and data accuracy. The emerging technologies have put huge expectations around (RPA), bringing huge promises and expectation from businesses. The adoption of Emerging Technologies particularly RPA can be ascertained from the HFS survey which reports that 98% of enterprises have an automation agenda at various adoption stages and 4 out of 5 C-suites are placing automation as their #1 strategic priority for operations. With these goals in mind, organisations have started going for pilot projects aimed to expand their reach in RPA programs. Present trends indicate that 52% seek better quality of operations, 59% seek more workforce agility and scalability, and 48% seek superior data accuracy from RPA adoption. However, expectations from RPA are often short lived, as statistics from the same report show that more than 40% of leaders are either moderately satisfied or not satisfied with their RPA programmes. 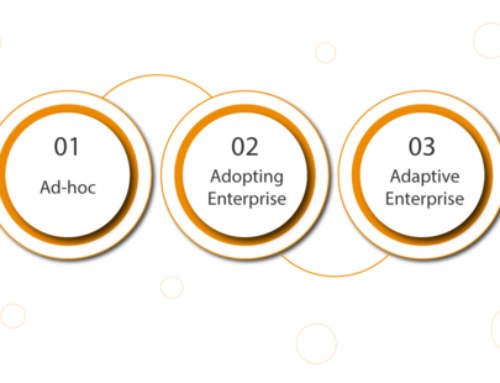 Many RPA programs get stuck at the adoption stage with business houses still in pilot phase or have an enterprise-wide adoption program in place for RPA adoption. Most of the processes that RPA has traditionally targeted are rules based, with repetitive & mechanical jobs built on predominantly structured data. However over a period of time, industry has realised that this approach is too restrictive and will not go too far as the business rules are concerned. The business reality says that even the simplest of the processes may have cognitive elements and not all the processes are automation ready. In the modern organisations, most of the processes deal with semi-structured or unstructured data with multiple data elements and non-standardized processes, like handling unique invoices from different suppliers reflecting the same information. Enterprise-wide end to end automation needs several jigsaw pieces. RPA is one of the critical pieces; however it is not the only one bringing a technology disruption. There have been many myths which surround RPA like RPA is the answer to all manual pains, a fact often disproved. Another myth surrounds around RPA being only about the tools set. it is in fact all about the mind-set which governs the adoption and adaptability of RPA. Does RPA implementation cut costs for an organisation, a myth which may or may not be true as RPA is also admired for its speed and less turnaround time often leading to high customer satisfaction. 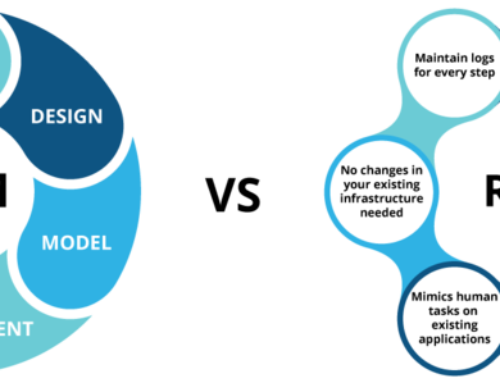 Another myth takes RPA as the holy grail, the truth being RPA forms a critical piece in the entire puzzle, where Intelligent Automation (consisting of RPA) provides end to end value. Intelligent Automation consists of RPA (surface, OCR), artificial intelligence, custom software and BPM technologies. Tools- What influences tool & partner selection, bot architecture, and best development practices. Business- This pillar is centered on profit center, changing mechanism, business cases, stakeholder management and road maps. Execution- Includes schedule/ execution, workload management, quick wins, IT integration, error handling and recovery. How does Mavenick help to ease Intelligent Automation complexities? 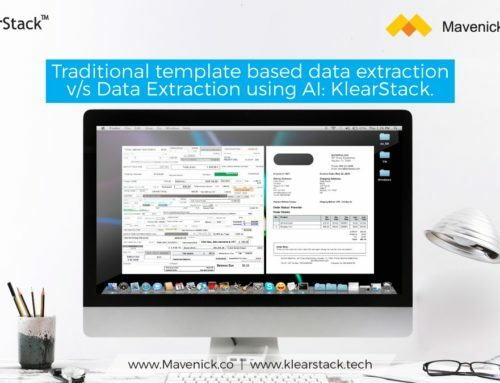 KlearStack™: Information extraction from unstructured or semi-structured documents: Extracting intelligent data irrespective of formats & layouts with no templates and rules, deploying machine learning/ deep learning at the core. Used cases include: HR hiring, Supplier invoices, Customer PO, Tender management, contract management, Corporate actions etc. The entire candidate screening process is managed by Mavenick Intelligent Automation Platform RPA bot, ML and Conversational Bot which work in tandem, without any manual intervention from the HR Team. The Tandem Digital Team of bots does the task of job posting, resume collection, and resume short listing through automatic scoring using NLP & AI algorithms, automated email for online test, online test monitoring and shortlisting candidates, conducting online screening interview (using conversation bot) and shortlisted candidate getting an automated calendar invite for in-person interview. The conversation bot schedules the F2F interview, without any human intervention. Whenever a job aspirant clicks on the link, the bot in the back end is digitally triggered to download resumes and give an inside view of the status of the job. Tandem Digital Team bot additionally defines resume benchmarks and mentions the scoring criteria to select the candidates for further rounds. After the initial screening is done, the RPA bot sends the exam link directly to candidate’s email box. Once the candidates appear for the online test, the tandem bot accesses the admin area of the online exam portal, to export all reports to excel. Bot analyses the report to find out the candidate performance. Then the bot sends an automated email to the candidates who have passed the test. Further the bot invites candidates for the next round, an online screening interview round, which is the candidate’s conversation with a conversation bot. The NLP analysis of the candidate’s profile makes the bot understand the highest level of qualification, like masters. Additionally the RPA bot is programmed to confirm with the candidate his/her qualifications and based on the responses, asks the candidate further questions like expected salary, experience etc. These are configurable questions which can be set as per the requirements of the company. In case the candidate puts across a question asking the explanation of any terminology which he/she cannot understand, the bot provides an explanation to confirm the candidate’s response. In addition, the bot can ask the candidate to self-rate his/her qualifications or mandatory skills. This stage helps organisations to check whether the candidate is fit for the job, before the bot sends the candidate’s application to a human for further screening rounds like a face to face interview. Once the bot confirms the suitability of the candidate, the bot sends an invite to the candidate for the interview. This is intelligent cognitive automation and helps to achieve more precise results. Mavenick Intelligent Automation Platform can also put a check if any candidate is appearing for the interview again and can further restrict the candidate on a duplicate screening interview. 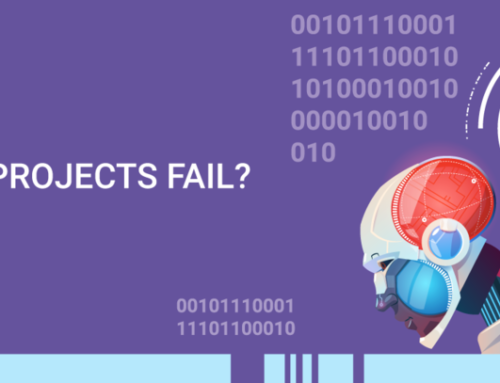 Tandem Digital Team platform is designed to handle exceptions. The general rule followed in this case is, if the bots are not capable to understand something, then they would not go ahead and do it wrong. Mavenick offers manual intervention and bot configuration for organisation’s quality control abilities. Tandem Digital Team can be used from our cloud infrastructure and it integrates with some of the world’s leading RPA vendors for licence subscription. Users can send an email or fill contact us form on the website providing the details. The Mavenick team will get back with all the offerings on offer, on a subscription based model. Tandem Digital Team does not aim to replace the traditional HR but instead focuses to provide them with more bandwidth to increase their productivity and efficiency by taking away the mundane work and replacing it with more critically efficient responsibilities.